The clock is ticking, and the hours and minutes are melting away as the biggest MMA event of the year gets closer. This Saturday night will mark the return of ‘The Notorious’ Conor McGregor as he takes on UFC lightweight champion Khabib Nurmagomedov at the T-Mobile Arena in Las Vegas, Nevada. If you take a visit to your mind castle, you will remember that McGregor has been away from the octagon for just a month shy of two years. We did get to see him against Floyd Mayweather, Jr. in September 2017, but in a boxing match. When we last saw Conor swagger to the cage, it was when he scored a TKO over Eddie Alvarez to add the lightweight belt to the featherweight belt he also carried at the time. 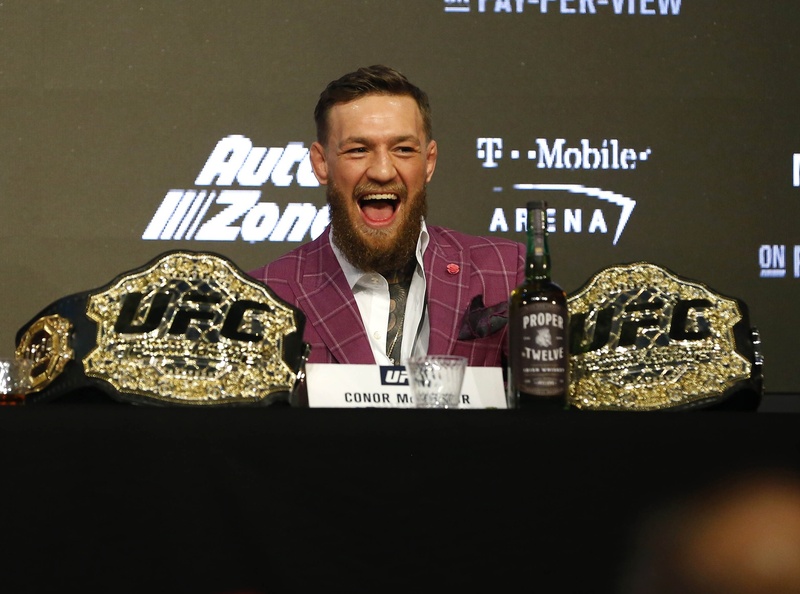 Now, Nurmagomedov is wearing that lightweight belt and Mcgregor wants it back. With an insane press conference (at the time of this writing, the second presser hasn’t aired), and a rowdy open workout session, the excitement level for this fight has definitely reached a fever pitch. To say fans are anxiously awaiting UFC 229 is a massive understatement. There are also some very compelling matchups sprinkled throughout the rest of the card. Both Pettis brothers are fighting, OSP is facing a highly touted, undefeated prospect and heavyweights Derrick Lewis and Alexander Volkov are looking to make their play for the next title shot. 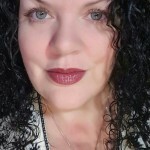 Before I get too carried away extolling the virtues of the event, I have to get back on track to my purpose — the mighty underdogs. I’ve selected four bouts that I feel have a high likelihood of ending in an upset. Let’s get started with some analysis of those fights. Felice Herrig has been fighting for a very long time, with a kickboxing career that started four years before her MMA debut in 2009. 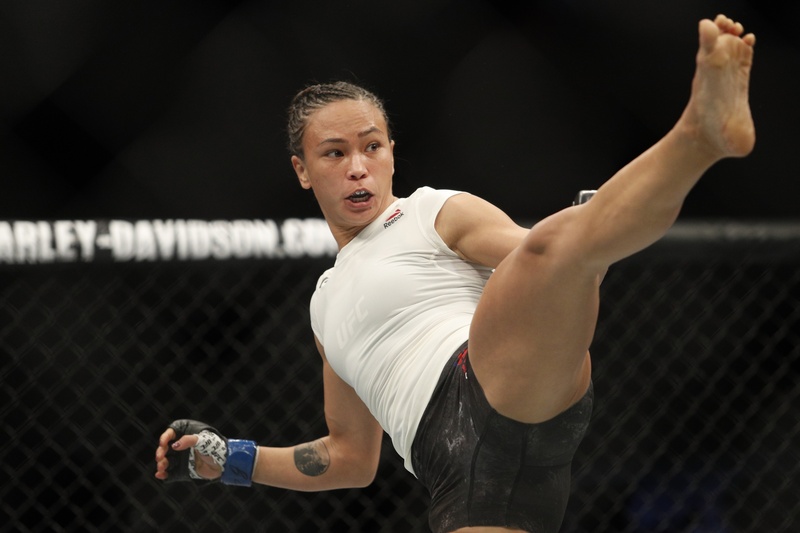 With nearly 14 years of combat competition under her belt, she could be approaching that almost indistinguishable period of decline that most fighters experience right around or immediately after the 10-year mark of their career. She’s made marked improvements in her ground game, though, but against Waterson, Herrig may find herself outmatched. Michelle Waterson also has a long career behind her, clocking in at 11 years, and boasts a near identical record to Herrig’s. She’s got a very good grappling base, probably better than her ‘Karate Hottie’ nickname would suggest. Her kicks are good, but so are Herrig’s, and I’d estimate their striking skills to be a pretty even match, so this will come down to sheer grit. While both women have plenty of that, I’ve got a gut feeling that Waterson’s will take her to victory. Dominick Reyes is a 9-0 prospect who’s only been the distance one time in his career to date. His ‘Devastator’ nickname was born of a thunderous high kick he’s used in a pair of fights that spelled doom for his opponents. His three UFC bouts have all ended in finishes, but against low to middling competition, and to be quite honest, we just haven’t seen enough of him to determine how he’ll do against a seasoned veteran that finds ways to make laughing stocks of oddsmakers routinely. Ovince Saint Preux has flashes of excellence mixed in with a healthy dose of poor decision making that has led to defeats — 11 of them in 34 fights. Granted, in his UFC run, he’s only lost to top-flight competition, but success has to depend on the ability to step up to the next level and win, a feat he hasn’t yet managed. And while those flashes of excellence have happened fairly frequently, as evidenced by three Von Flue choke submission victories (a UFC record), his overall game is still very limited, although not due to athleticism, which he has in abundance. It’s more the result of a below-average fight IQ. I’d love to see him at one of the elite fight camps where he can flourish, as he’s been at the Knoxville Martial Arts Academy for the majority of his career, where his growth as a complete fighter stalled some time ago. Despite that, he should be able to dispatch the young wolf nipping at his heels. Tony Ferguson is a legitimate contender with great grappling chops and wildly unorthodox, yet effective striking. He’s riding a 10-fight win streak over a who’s who of elite competition. He positively oozes confidence and isn’t afraid to take chances to win, and therein lies his biggest flaw. When he fought Lando Vannata, he allowed himself to be drawn into a center-of-the-cage brawl that nearly ended his night early, but thanks to a good recovery, he was able to stick it out and get the win. And we cannot forget the fight with Kevin Lee that saw him dominated for most of the fight before Lee succumbed to a triangle choke in the third round. Ferguson’s also injury prone, and he has some really unorthodox training methods that leaves one to wonder what the integrity of his legs will be like when they take some hard low kicks. 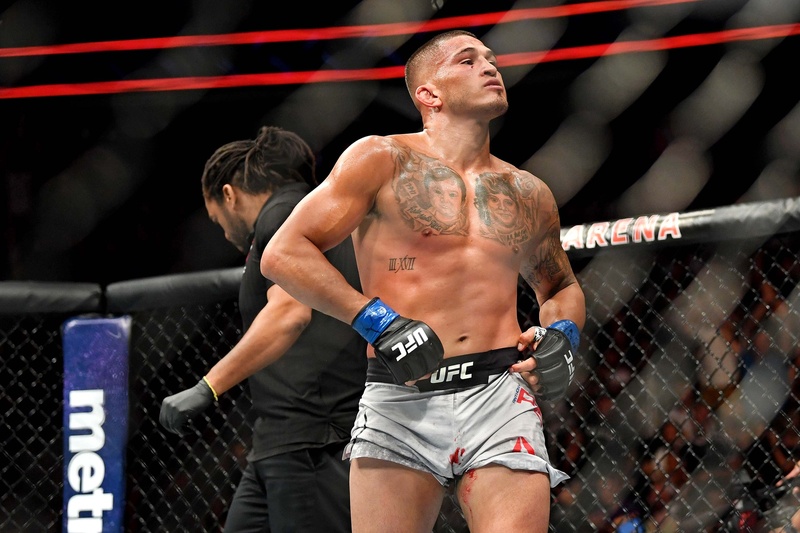 Anthony Pettis has had a rough few years, partly due to the decision to make a run at featherweight, and partly due to him fighting nothing less than a Murder’s Row of opponents. Despite that run of bad luck, Pettis is still a very dangerous guy to face, and he’s a slick grappler who finds ways to win from any position. He’s also an unorthodox striker but is slightly more risk-averse than Ferguson. 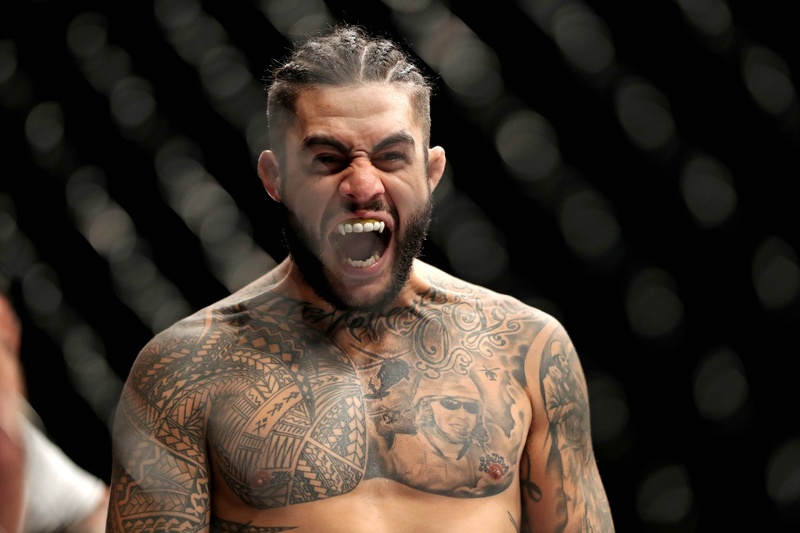 This is a pick ‘em fight in my eyes, but if ever there was an underdog that has the chops to upset this big an applecart, Pettis is that guy. Khabib Nurmagomedov is 26-0. I feel that sentence needs to stand alone and be revered because a lot of those fights were in the UFC against solid competition. His wrestling-heavy base is his bread and butter, but it has a companion partner in the sheer power he possesses and frequently uses to bully his opponents. While his weight cuts have historically been a problem area, his cardio is excellent, and he thrives in the latter rounds. Nurmagomedov’s not exactly a slow starter, but he’s not sprinting out the gate, either. He normally takes most or all of the first round to get a feel for his opponent, and then unleashes the fury of 1000 bears upon him. The problem with this is that Conor IS a fast starter and wastes no time in getting the job done. Khabib also wilts under a full-on aggressive assault and isn’t great moving backward. There were moments in both the fight with Michael Johnson and the one with Al Iaquinta where he ate big shots that hurt him that were the result of constant pressure. He recovered well in both fights, but McGregor has massive power and is surgically precise with his punches. He’s also relentless, and likely won’t provide an inch of space for a recovery effort to be mounted. McGregor is also faster, has better footwork and fights longer than most men his size. His counters are well-timed, and that rocket left is always ready to clean the proverbial clock. If Conor can stay aggressive, and history tells us this is highly likely, he can throw Khabib off his game enough to swarm him to a knockout. We must also figure in the mental game, and McGregor is a master of getting his opposition worked up into a slobbering ball of rage before a fight. This contest is either man’s fight to lose —- it’s that close —- but I feel that McGregor is better equipped to walk away with the gold.